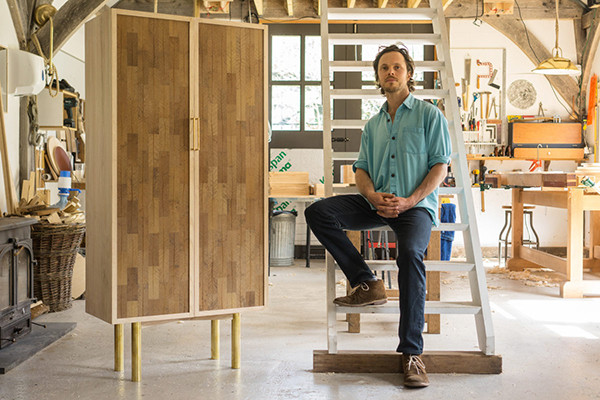 Rupert McKelvie‘s education in woodwork began with acquiring traditional boat building skills in the coastal town of Lyme Regis, as well cabinet making. He then graduated in 3D design and sustainability with a distinction from Falmouth University. 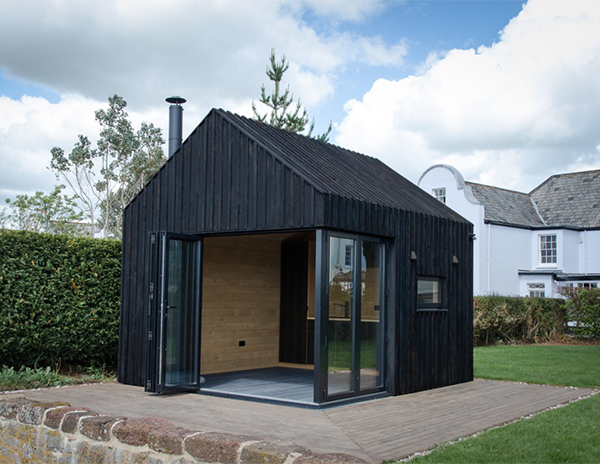 He has since worked on a range of design commissions for private and commercial clients from his workshop situated in the Teign Valley, at the edge of Dartmoor National Park. In 2014, Rupert came up with his first tiny house design, Oak Cabin. It’s popularity gave birth to Out of the Valley. 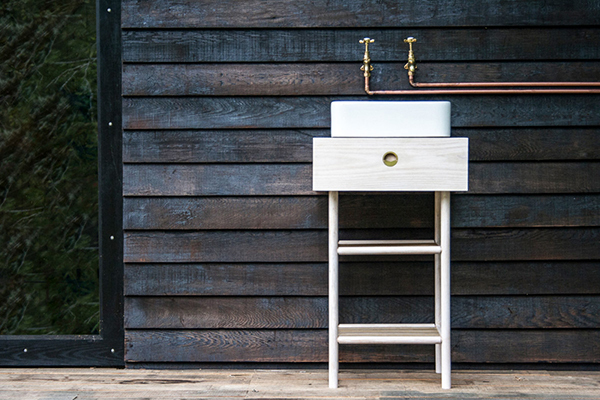 The design and build studio specialises in small wooden structures which can be used off grid in a number of settings, be it a rural escape or an urban garden. 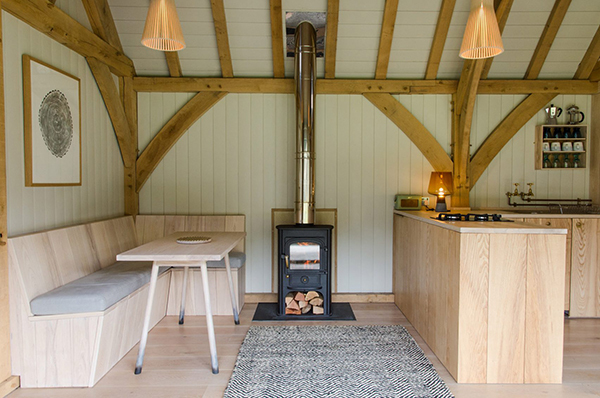 The cabins are eco friendly due to being made from locally sourced materials and British timbers. There is also a focus on off-grid living with the inclusion of green technologies such as solar panels incorporated into the design. Over two years he has planted over 3,000 trees on the land surrounding his workshop. 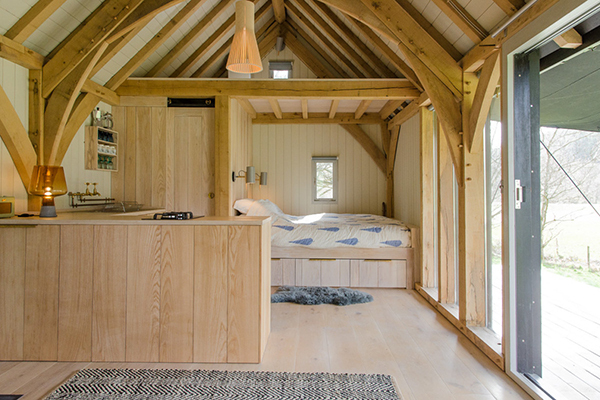 The Oak Cabin is a luxurious space, large enough to fit a mezzanine and king size bed. It also features bi-fold doors, solar power, convectional stove and built in log store. Inside, traditional building methods have been used to create a sleek contemporary space with a high quality finish. 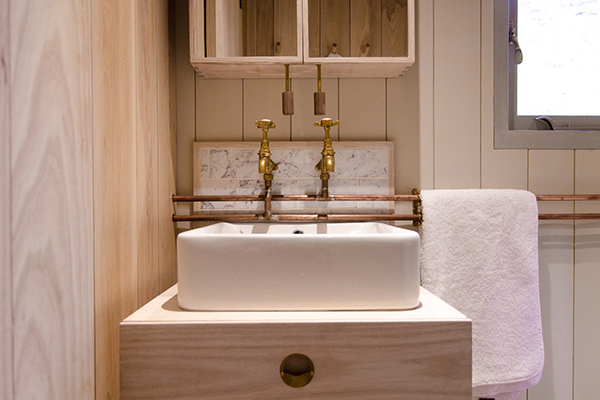 The light and bright interior comprises kitchen, panelling and furniture crafted from white washed ash. The bi-fold doors are painted in natural linseed. 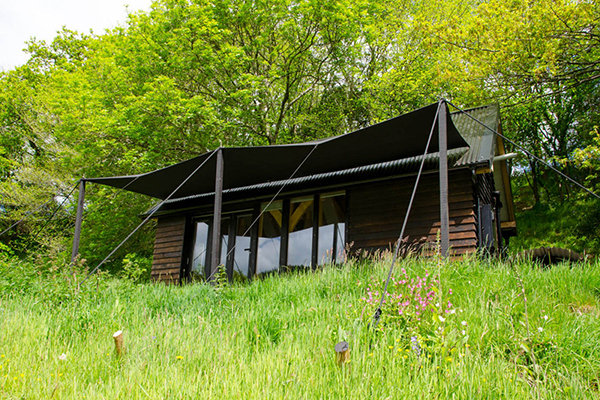 The outside of the cabin is covered in burnt cedar feather edge cladding and steel guttering. 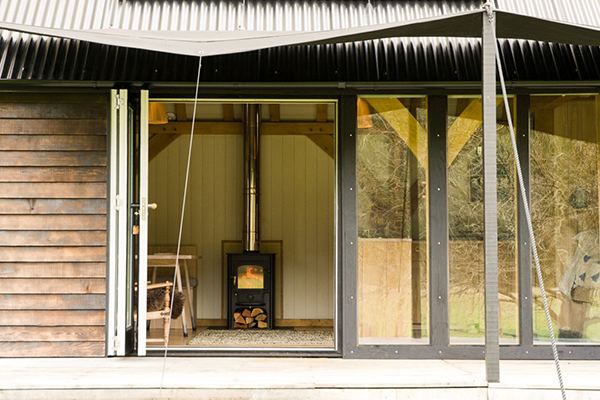 The veranda is made from solid oak with a canvas awning. 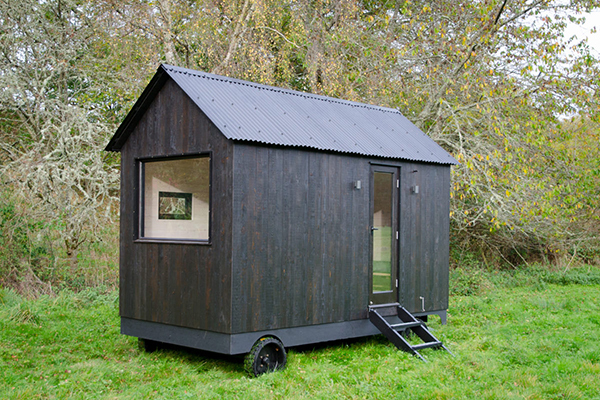 The Nomad is a micro mobile configurable cabin, built to go anywhere. 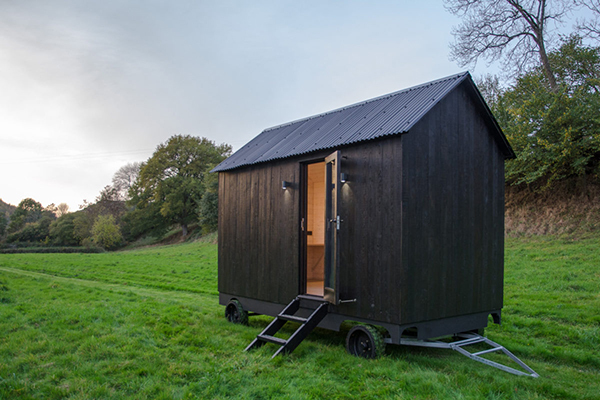 It’s made with larch cladding, hardwood doors and windows with high load solid rubber wheels, a turn-style front axle on bearings and galvanised chassis. 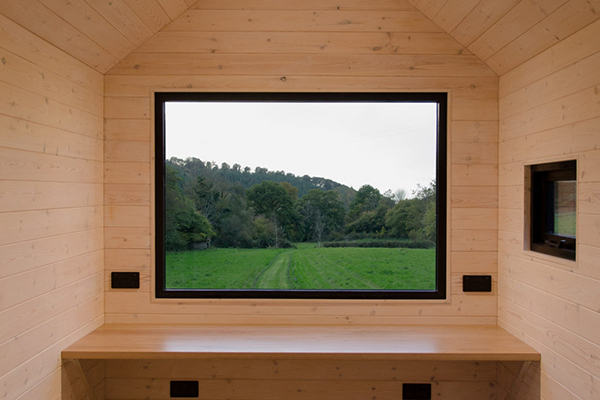 The inside of the Nomad features an oak desk and the glazed gable floods the cabin with natural light. 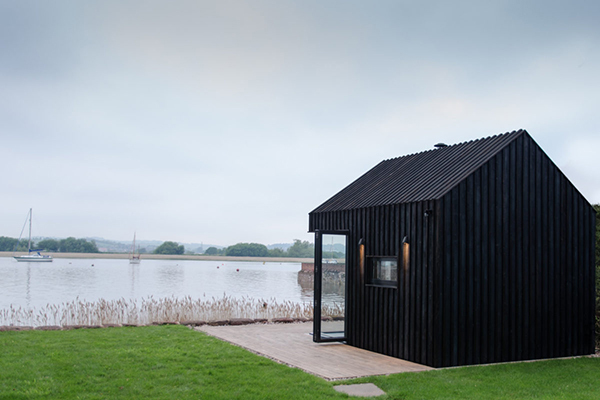 The Estuary Cabin is also clad in wrap-around charred larch. Due to its engineered corner-less cantilever, the design is perfect for locations that boast breathtaking views. The interior is lined in band-sawn English oak. 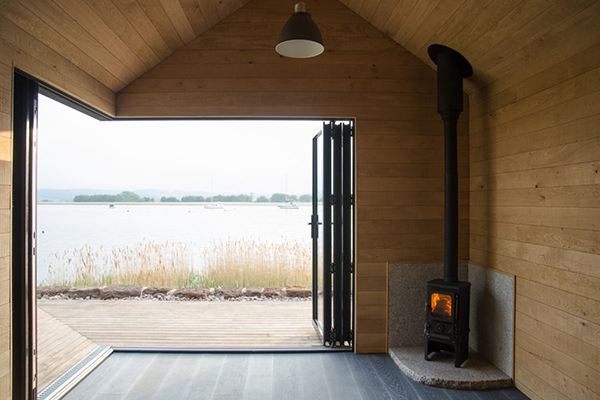 The 4kw woodburning stove sits on a hand-hewn piece of cornish granite. 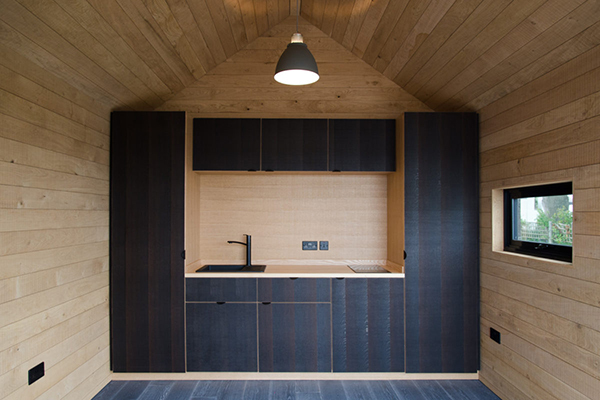 The kitchen and storage space is made from rough cut smoked oak. 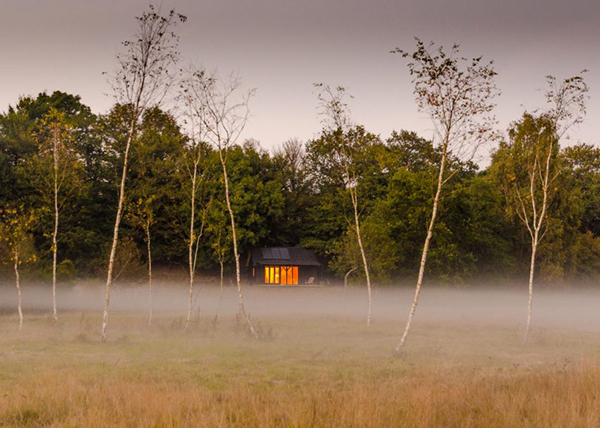 Love cabins? Check out this post on the holiday home Cabanas no Rio located on the Portuguese coast.